There's no shortage of daytime shows at NXNE at a variety of venues. We've seen Slow down, Molasses in the courtyard of the Global Village Backpackers hostel; Les Breastfeeders on a rooftop; Dusted at Urban Outfitters; Allie Hughes in Trinity Bellwoods Park. So it almost seemed strange to see an afternoon show at an "ordinary" venue: The Hidden Pony Records Showcase/5th birthday party at the Legendary Horseshow Tavern. But this is NXNE, and extraordinary is always just around the corner. The Danks, who redeemed themselves in our esteem at NXNE last year, were on our schedule for 1 p.m., but patio burgers at the Black Bull Tavern with CBC Radio 3 friends trumped. We got to the Shoe just in time for Rah Rah and a huge love-in between more Radio 3 fans and for the Regina band and their prairie alt-rock/pop. It's possible we've seen Rah Rah more times than any other band; they never seem to stop touring. Maybe it was all the R3 appreciation, but it was the best show we've ever seen them perform. There was no trace of the Rah Rah that we've affectionately called the most awkward band we know and love. They were confident and obviously having a great time. Odds were up next. There we were at the bar, chatting with friends we only see once a year. Until it sure sounded like Steven Page was on stage singing... and then Chris Murphy of Sloan? Along with Jay Ferguson, Odds, Murphy and Page, a hilarious improv-jam-mash-up ensued, with Murphy forgetting the lyrics to "Underwhelmed" and everyone singing along to the na-na-na-nahs of "Hey Jude." Could our evening lineup possibly top that? Honestly, how many times in life do you get a chance to write a headline like that? How many times in life will you have a chance to get Fucked Up (Toronto) with Weed (Vancouver) in Detroit on a Friday night? Wait, don't answer that one. 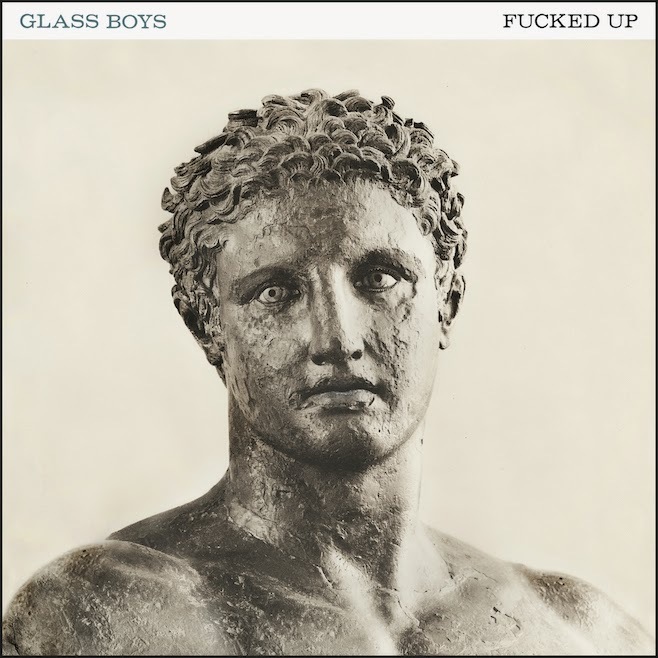 Just get there to hear new music (Glass Boys) from one of the great punk rock bands in Canadian indie and experience the charisma of one of its greatest frontmen. Listen: "Paper the House" from Glass Boys. When it came to scheduling NXNE, no day caused us as much hand-wringing as June 19. Mostly because we ended up missing Edmonton's The Wet Secrets. We are big fans of their bass-and-brass, tongue-in-cheek fueled alt pop, so much that we made a February road trip to London to see them. At least we heard from people like Jordon Vlasschaert, bassist for Shred Kelly, who took our advice and is now on the marching bandwagon. For that sacrifice, smart logistics plus making bands we've haven't seen a priority equaled a grand slam plus one. Doomsquad (Montreal/Toronto, Hand Drawn Dracula): Stand close to a painting by a Dutch master and all you see are the individual brushstrokes. Stand back and they come together to form a work of art. That was Doomsquad, a young trio of two sisters and one brother making psychedelia art with a guitar, a whole lot of electronics and streaks of vocals, flute and recorder. Chatting with Mikey Bernard, programmer for M for Montreal, he told us "I figured you were into folk." 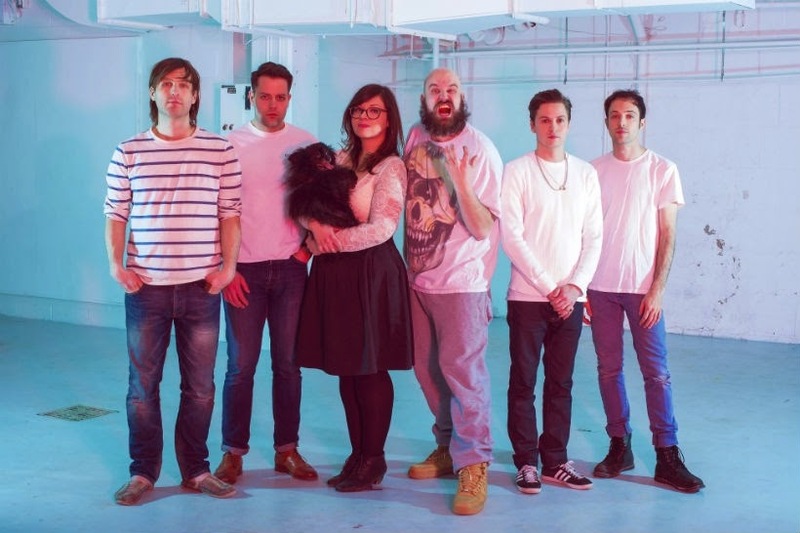 We may be old, but we love all kinds of Canadian indie music, and we loved Doomsquad. PS I Love You (Kingston/Toronto, Paper Bag Records): Many duos have proved that less is more, but in our opinion no one's doing it better today than Paul Saulnier and Benjamin Nelson. We've been listeners all along of their brilliantly crafted rock; four years after their first album debuted, and two Polaris long list nominations later, we finally got to be viewers and reviewers. Saulnier's pubescent vocal delivery isn't for everyone, but he's a master guitarist and Nelson makes drumming look like an Olympic sport. See and hear for yourself on Mon., Aug. 18 when they play the Pike Room in Pontiac. Andre Ethier (Toronto): Ethier is one of those seminal artists that hooked us on CBC Radio 3 when we were first listening, thanks to songs like "Cop Killer" and "Infant King." Add that to his history with the Deadly Snakes, along with the likelihood we'd ever have another chance to see him, and we decided this show was a can't miss (and the reason we missed The Wet Secrets). For our angst, we were rewarded by a wonderful, varied set that illustrated Ethier's range, from jazz to blues rock to Dylanesque folk. Even better, his session musicians included Paul Mortimer, guitarist for another favourite, The Highest Order. How Sad (Montreal): So we're walking down Ossington to the Mod Club Theatre for PS I Love You and a young man sees us and throws out his arms: "Hey! Good to see you!" We look at each other; we have no idea who he is. And then we're very embarrassed, because it's Harris Gilbertshper, who stayed at our house when How Sad-- then Goose Hut-- were touring with Parlovr and Hooded Fang a couple of years ago. Even worse, we got to that show late and missed Goose Hut and have been kicking ourselves ever since because we're huge fans of the EP they left. That's how How Sad ended up on our schedule, and how we ended up seeing one of our top three shows of NXNE 2014. How Sad is making brilliant alt pop that makes us ridiculously happy. We sure hope there's more to come, both recorded and live. Viet Cong (Calgary; Flemish Eye): Out of the ashes of Women and the sad passing of Chris Reimer has risen Viet Cong. We never saw Women, so we can't compare Viet Cong's live show. We didn't see much of Viet Cong, either. By the time we got to Smiling Buddha, it was packed. We can say what we heard was more punk-spiked rock than the fuzzy, introspective sound of Public Strain. But there's no mistaking the ties to Women in their recorded songs; you can listen to and purchase their EP on Pitchfork.